Future leaders in America need your help! As a non-profit organization, we depend on the generosity of donors just like you to ensure our programs have a lasting impact on the young people all around us. Programs such as 4-H are delivering valuable, hands on learning experiences to young people right now, engaging their imaginations and cultivating critical skills that they need to be prepared for a life of citizenship and meaningful contribution. No donation is too small, start making a difference today with your tax deductible contribution. 255,468 California youth participate in 4-H Youth Development Programs. 69% of California 4-H members believe science is useful for solving everyday problems. 67% of 4-H youth believe they can make a difference in their community. 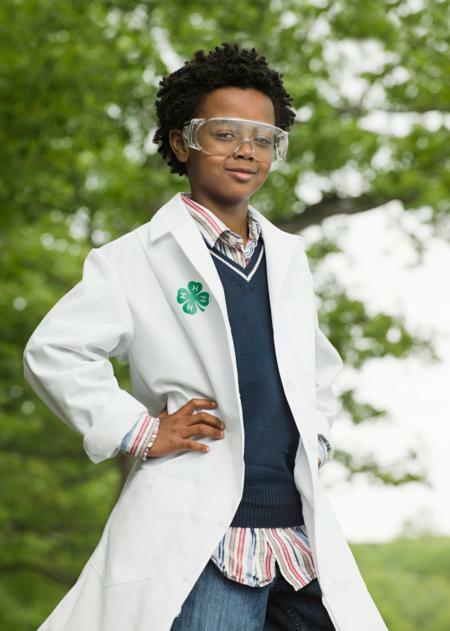 4-H participants are 1.7X as likely as other youth to plan to pursue a career in science. 4-H participants are 2X as likely as other youth to participate in science programs. 4-H girls compared to girls not in 4-H, are 2X as likely to have plans to pursue science careers. Kate Lyn Sutherland shares her 4-H experience. Video by 4-H alumni Rebecca Bernal.